Because there are no more games in the world with good stories...? The seminal rhythm game Dance Dance Revolution is returning to the public eye, but not in the way anyone wants – try a movie, of all things. It appears the project, from company Stampede, is being headed by the newly-promoted Director of Development Cara Fans as a feature meant to explore a "world on the brink of destruction where the only hope is to unite through the universal language of dance." Oh, good lord. This new project comes in tandem with the opening of the studio Stampede, but unfortunately that's just about all we know about it at the moment. 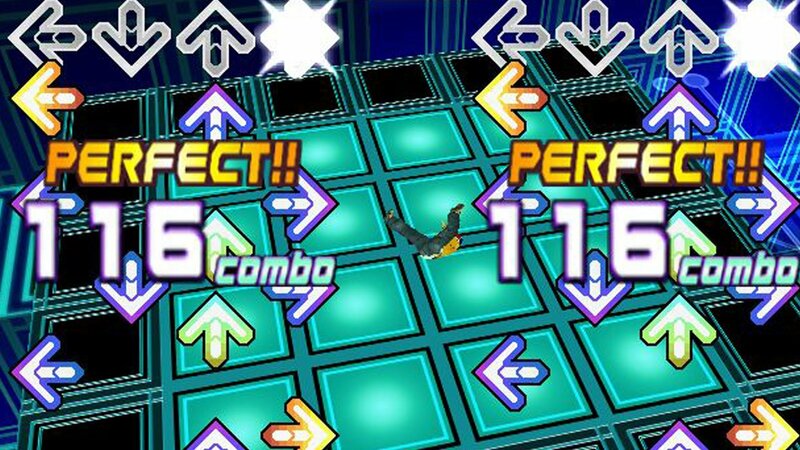 For the uninitiated, Dance Dance Revolution (DDR) is a music game that has players stamping four arrows along to the beat with various songs either on arcade machines with metal controls or at home with plastic or solid mats. It's extremely, massively popular in the west as well as in Japan and elsewhere, but it features no story, no characterization beyond the various dancers you can choose to play as, and nothing that would lend itself well to a movie. We'll be watching where this goes, of course, and as additional details come out about the story, delivering them straight to you. Keep it tuned to Shacknews for more info on what may be the weirdest game to movie adaptation of all time.